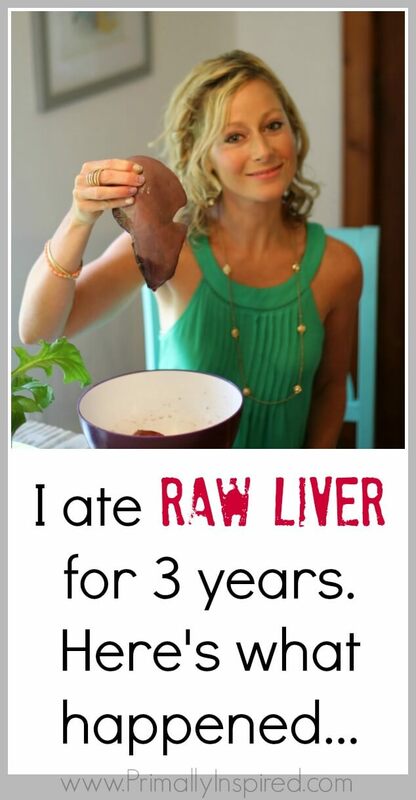 3 years ago I discovered raw liver and it changed my life. I realize that sounds incredibly crazy (and disgusting), but hear me out on this. I started making my own homemade frozen raw liver pills after researching the benefits of raw liver. As disgusting as that sounds, I was feeling pretty miserable at the time and had nothing to lose. Sometimes when you are so sick of feeling sick and tired, you’ll try just about anything to help, you know? And that’s where I was. My hormones were out of whack, I was moody and irritable, I had horrible PMS every month and my digestion was less than stellar. So I did it. I made my own raw liver pills out of a local farm, grass-fed, beef liver that I bought. In full disclosure, that hunk ‘o liver sat in the back of my freezer for a good 6 months before I got the kahonies to do anything with it. But let me tell you – wow, what a difference those liver pills make! I attribute taking those raw liver pills to healing my hormone issues, evening out my moods and boosting my athletic performance. They give me energy like I never had before. And I have zero PMS. It’s crazy! I often tell people that taking my daily liver pills made the most dramatic difference in my health to date. I can’t believe it! My thyroid numbers are getting better and better at every doctor appointment!!! If this continues, I’ll be able to get off my thyroid medication in the near future! I could go on and on with these emails. I’m thrilled that like me, others are experiencing such amazing benefits from consuming liver. You can read more about my story and how raw liver changed my life HERE. And if you’re grossed out, keep reading, because you’ll be happy to know that I discovered a great way to get all the health benefits without the ick factor of handling raw liver. What’s the so great about raw liver? 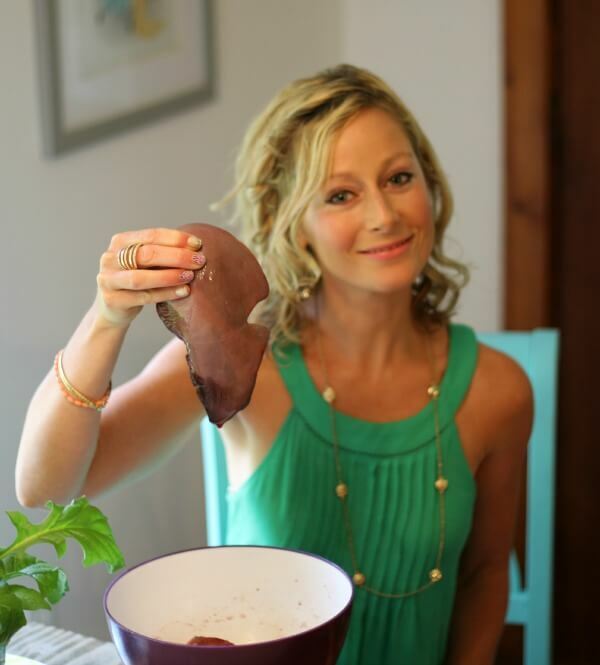 I call raw liver my real food multi-vitamin because it contains a rich array of vitamins, minerals and enzymes that our body easily recognizes and puts to good use. Liver provides trace minerals and vitamins not present in other foods, even if you’re eating organic due to the depletion of our soils. In fact, liver contains more nutrients, gram for gram, than any other food! It really is a true superfood. The abundant doses of bio-available vitamin A,D and K in liver all contribute to optimum hormone production. Healthy hormones mean better sleep, better libido, less weight gain, better response to stress, less anxiety and better moods. Liver also contains all the B vitamins in abundance including the critical vitamin B12. 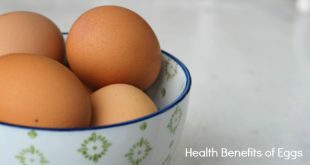 B vitamins are crucial for optimal health, energy, handling stress, liver detoxification, heart health and mood balance. Liver also contains something really awesome called the anti-fatigue factor and it still remains a mystery to scientists to this day. Here’s a fascinating study that I think is SO cool explaining what that means…..
Isn’t that amazing?! And I, too, can personally attest to this anti-fatigue factor since consuming raw liver! 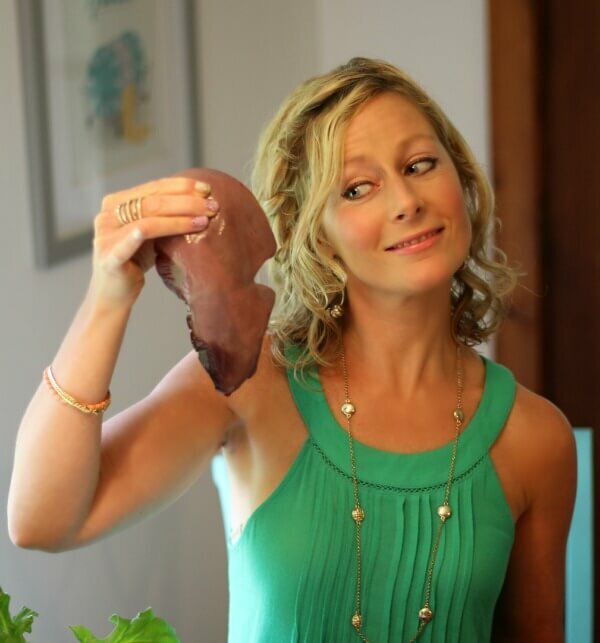 I can almost hear you saying…..
Liver grosses me the heck out, too, especially raw liver. Little secret — even though it’s been 3 years since I’ve been taking raw liver, I still get a major case of the heebie geebies when I make my frozen raw liver pills. So I discovered a solution that I can’t wait to tell you about….. I can’t even begin to tell you how excited I was to discover these beef liver pills from Vital Proteins!!! Sorry for all the exclamation points. I usually try to lay off them the best I can, but this is amazing stuff and worth every single one. These pills are the solution if liver grosses you out like it does me or if you don’t have the time or desire to make the liver pills yourself. It’s also the best option of you can’t source good quality liver or if you travel. You can find them HERE. These 100% grassfed beef liver pills are sold by Vital Proteins, a great company who I’ve found to be the best at sourcing the highest quality ingredients available. I had the opportunity to personally meet with Vital Proteins a few weeks ago and get to know their company and products in depth. I’ve been a fan of theirs since my research and blog post on collagen but after meeting them in person, I’m even more impressed. The amount of independent research they do and the lengths they go to make sure we’re getting the best, safest and highest quality products available is incredibly impressive to me. Will I get the same benefits from these liver pills as I do from raw liver? Yes! 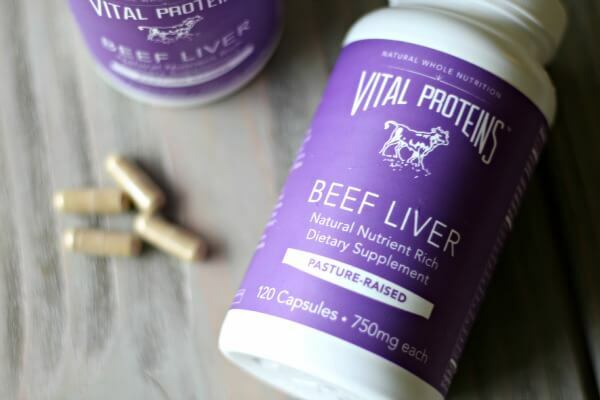 The grass-fed beef liver pills from Vital Proteins are freeze dried as to preserve the rawness of the liver and to ensure that the nutrients are fully available. Please keep in mind that not all liver pills are created equal. I found this to be very true, not only in my research, but from my own experiments. I tried 2 other quality liver pills in the past, but didn’t receive the same benefits like I do when I take my homemade raw liver pills. Vital Proteins is the first liver pill that I get the same benefits and energy boost like I am taking it raw. I questioned Vital Proteins about this. I wanted to know why their pills were very potent for me when I haven’t had success with others in the past. What’s the difference? It turns out that most liver pills are de-fatted, which removes Vitamin A. Most companies do not source from 100% grass-fed and grass-finished cattle. Grass is high in beta carotene, which the cows convert to pre-formed retinol or Vitamin A. That’s the form that is best absorbed by the human body. Also, because the cows were grass-fed all the way up until slaughter, their livers are naturally higher in B vitamins and other minerals. In my research I found that many liver pills on the market are processed using heat, solvents or deodorizers, all which greatly impact nutrients. Some even have added ingredients in them. Vital Proteins is just 100% pure grass-fed beef liver raised free from hormones, antibiotics, and pesticides. They carefully preserve that nutrient density all the way into the final product. The pills are regularly tested for purity and to make sure no heavy metals are detected. Taking 4 capsules a day is the equivalent of roughly 3 oz. fresh liver per week. The advantage to taking a steady dose every day versus eating liver once a week is the water-solubility of B-Vitamins, which may only circulate for a few days when eating a large portion of liver. I’ve gotten really spoiled since taking my Vital Proteins liver pills. I’m not sure if I’ll ever want to cut up raw liver into tiny little pills ever again 🙂 It’s so nice to have this option! Have you experienced any benefits from eating liver? Have you ever tried liver pills? Leave me a comment and let me know! I’m excited for you to try them!! You’ll have to let me know your results! Thanks for the great info! I had bought another brand of liver pills on amazon to use for travel, but next time I’ll get these. I have been taking raw liver for well over a year and am completely sold on it. The biggest thing for me is the energy. I actually start to panic if I run low on liver! And I always remember the little rats swimming in the ice water. Hey Elizabeth! Since you’re used to taking raw liver, you’ll have to let me know if you notice any energy difference from your Amazon pills or not! It’s hard to say with the pill I ordered on Amazon…I just take them for a few days at a time when traveling. I am a frequent traveler, but generally short trips. My energy is pretty consistent now, so I can’t say I notice any decrease when I switch to the pills. haha!! I agree – those 2 things have been SO huge for me, too. That’s really good that your energy is consistent now. I still feel that big increase each day with the liver pills and definitely notice when I don’t take them. Even though I have fairly good energy all day (I just get crazy good superwoman energy with the liver/liver pills! ), I hope one day it’s more consistent like yours! Hey there! Just got my liver pills in today. Do I take 4 at once or 1 at a time throughout the day? Hi Tamica! I would experiment and see what works the best for you. For me 2 in the morning and 2 at lunch seem to do really well so that’s what I’ve been sticking with. I know some others just take all 4 at once. Kelly- Can we take the liver pills and the Collagen as well? Or is that too much together? I always put Collagen in my shake in the morning but if I am taking the liver pills should I be using the Collagen as well? 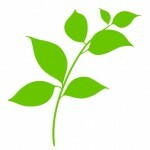 Love your site and all your helpful advice. Hi Sara! No, taking both is awesome because they benefit different things. I take both every day and they have made such a big difference in my health! I have hashimotos and cannot lose weight for the life of me! I work out 5-6 days a week and eat very healthy. Will this help me losing weight as well? Hi Priscilla! That is so frustrating. While nothing is a “magic pill” for losing weight, two of the best benefits about these liver pills is that is helps achieve balanced hormones and strengthens your liver so it can work really well at getting rid of toxins. Both of those issues (hormones, excess toxins in the body) have SO much to do with maintaining a healthy weight. hi, I’m a little concerned about the raw uncooked part…can you get salmenella or bad bacteria from consuming a raw meat? Hi Laura, that’s a great question. Anytime you consume anything that’s raw there’s a possible risk of ingesting bad bacteria. Raw fruits and vegetables are among the highest to carry bad bacteria and more people get sick each year from fruits and veggies than undercooked or raw meat. If the raw meat part really concerns you, but you’re still interested in getting the health benefits, the liver pills (rather than cutting the raw liver up yourself) would probably be the best option because Vital Proteins tests every batch for purity. You can be confident that there is nothing harmful in there if you go with them! Hope that helps answer your question! Please keep me updated, Lauren! I hope you start to feel better really soon. Hey Kelly, i was just wondering. I have a hard time absorbing anything, so which who you think would be more beneficial, raw or pill?? Hmmmmm, good question, Nicole. I don’t think you could go wrong with either, but in this case I would probably say the pill because it’s already been broken down into a powder. Your body wouldn’t have to digest cold (frozen) chunks of liver. If you were interested in making your own liver powder – it is possible and quite easy! 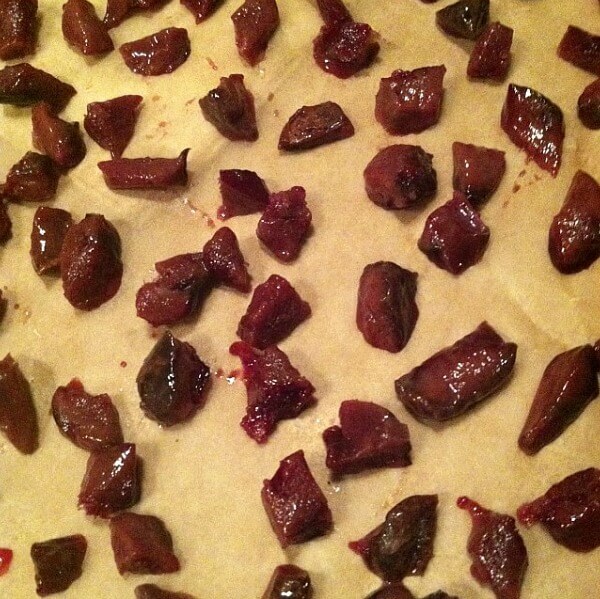 You’d have to dehydrate pieces of raw liver like you would jerky and then process it into a powder. I would like to give the raw liver pills a shot. How do you prepare and how much do you consume per day? Just cut the raw liver up into pieces as your picture shows and eat like that? Hi Kelly, I was taking the Vital Protein’s Beef Liver Pills but after seeing your article decided to try the raw liver pills. Sometimes I forget to take them, out of sight out of mind so I will take them all at once at night before bed. Do you think I will get the same benefit this way. Yes, Jay you will get all the same benefits taking them at night! How long was it after taking the raw liver pills did you feel better???? Also with or without food is best?? I like to take them without food, Jay just so my body gets a nice hit of the bio-available nutrients and vitamins! But either way is fine and effective. If there’s any stomach sensitivity when taking without food, take them with food. Hi again Jay! If I can remember correctly, I felt a good energy boost fairly quickly and started feeling noticeably better about 2-3 weeks in. But I actually doubled my dose until my body and hormones balanced out (about 6 months) – and then ever since I’ve been taking the normal dose. That’s something you may want to consider if you aren’t feeling much of a difference. God Americans are weird! 🙂 Why does liver gross everybody out in this country? It’s just meat! A better meat, for that matter – softer and tenderer. I’m from Ukraine and have been eating liver since I was a child. Loving it, because outside USA people view food differently: organs are not gross, they are a delicacy, kids eat the same stuff as adults and yucky is what comes from a box, not from a butcher, especially if it dyes your tongue an unnatural color (a source of delight for an American kid). I was always slightly anemic, but at around 20 I became really anemic and after conventional medication failed to help me, my doctor told me to eat slightly undercooked sliced beef liver. It takes practice to learn to cook it just right, so it’s still juicy and tender in the middle (like medium rare steak) but it tastes so delicious! A lot better than traditionally well cooked liver. Especially with some sauteed onions. Just writing it makes me drool. 🙂 A couple weeks of liver diet cured my anemia like I never had it. Olga, I love this comment!! I agree, we Americans have so much stuff so backwards 🙂 I especially love the part where you wrote that liver is a delicacy, kids eat the same stuff as adults and what’s yucky is stuff that comes in a box. LOVE!! I can only imagine how much healthier Americans would be if they followed those principles. I’m so glad you stumbled on this post and I have a wonderful feeling that adding liver to your life again will help a lot of your issues tremendously. You’ll have to keep me updated! I also love that you mentioned that your kitty loves it – my dog loves liver SO much, too. I make dehydrated liver treats for him that he goes crazy over! Animals are so smart and definitely know good nutrition! Just got my liver pills and am going to take them like you. Two in the morning and two at lunch. I have been taking Vital Protein Collagen for about 6 months, following Paleo AI (as much as I can! ), sleeping more, and taking herbs and vitamins. My psoriatic arthritis is in remission and I hope to completely heal over the next few years. It was great when my 25 year old daughter said, “Mama, you look younger!”. Since turning 60 in June, my goal is to reverse the aging process! I think it is working!! Thank you Kelly for your inspiration, information, and recipes! Carla, that is awesome! It’s so nice to hear your success story and even better, I’m so glad you are feeling better! How cool is that?! Thank you for sharing! Question for you. I know liver is high in iron. I recently took iron supplements and they made my already-awful acid reflux/heartburn worse, and I’ve been told that iron feeds bad bugs in the gut and to avoid iron pills. Do you think taking liver pills would likely have the same effect because of the high iron? Thank you! Hi Tara! I’m not a big fan of taking isolated nutrients for that reason – I’ve had similar experiences! Whole foods behave much differently in the body than isolated nutrients. Most nutrients (and definitely iron) require specific enzymes, antioxidants, other nutrients, and still yet to be discovered elements to be present so that they can be properly absorbed and not cause harm. This does not happen with isolated nutrients. One of the things I find so fascinating is that this always happens naturally with whole food! The nutrients in whole foods are already perfectly packaged in such a way and are best utilized by our body in that format. I think that’s so cool!! The iron in beef liver is in the form of ferritin and liver contains all the cofactors needed for it to be properly absorbed. Overall, liver is a very gentle way of taking this powerful mineral and not usually problematic. I think it’s very likely that you will have a totally different experience with liver pills as you did with iron. Hi there, have you tried taking probiotics? Thank you for this article. I have a lot of issues with my hormones which doctors have not been able to help. I’m definitely going to try these. My question is, do you recommend giving these capsules to children? Do you think it would be beneficial to them as well? Hi Holly! I am really hoping these liver pills will help your hormones as much as they do mine. Whacky hormones are no fun since they impact nearly everything (and everyone involved lol)! Will the liver help with my Diabetes? I’m currently taking Metforman. I HATE IT. 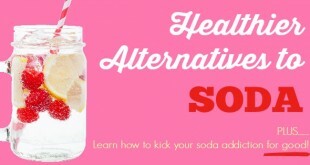 I’m going to start doing the Oil Pulling also. 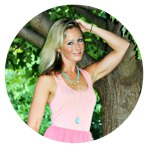 Thanks for your AWESOME BLOG.. LOVE IT..
Hi Becky! There is a cool study that shows that the herbal supplement, Berberine is able to control blood sugar and lipid metabolism as effectively as metformin (source). That may be something to talk to your doctor about! THIS is the one I am familiar with and would recommend. The nutrients in liver are awesome for hormone balance. Since hormones impact blood sugar regulation, liver would be very beneficial. I just ordered these yesterday & can’t wait to try them! So glad I found your blog! I’ll be following it from now on. 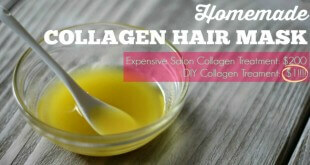 I’ve already been using VP’s collagen & gelatin & love them so much. I came across this post while looking for recipes and went to try out the liver pills but they seem to have disappeared from the site? Any idea if they will come back? I see that I missed the coupon code as well. I am excited to try these out but I have to find them! Hi Crystal! I tried to order some last night and saw they weren’t there! My guess is that they are out of stock, but I emailed my contact at Vital Proteins to find out for sure. I’ll let you know when I hear back! Faith, I am so excited to have you here!!! Especially someone that sounds like they get excited about health as much as me heehee 🙂 I think you are going to love these liver pills! And you are absolutely right – the less chemicals/toxins that are in your body, the better your body will run! So want to try these! I eat braunschweiger from us wellness meats to get my liver in a more palatable form, but not as frequently as I should. I can totally tell a difference in energy when I do eat it. This would make it so much easier to be consistent with the liver intake 🙂 Love vital proteins collagen too! You definitely piqued my interest! I hope this doesn’t come off as rude. 🙂 I am curious if you were paid to write this post or compensated in anyway? That’s not rude at all, Amy! I appreciate the question. And yes, I get affiliate income (a small percentage of the total purchase) for anyone who makes a purchase through the links in this article. I’m an affiliate to a select few companies that I 100% believe in, personally use and receive a lot of value from. And then I seek the company out not the other way around – I say no to 99.9% of the companies who ask me to write sponsored posts. After using Vital Proteins collagen peptides for a few months, I was totally impressed. My husband and I both felt noticeable improvements that could potentially help a lot of people so I decided to seek them out, meet them personally to make sure they were the real deal and became an affiliate 🙂 Love Vital Proteins! Hi Jana! All the studies that I have found about the dangers of too much vitamin A are based on the synthetic version (lab made) of vitamin A (and yes, that is a concern if you are taking synthetic vitamin A) – but not the real vitamin A that you get from liver and other real foods rich in real vitamin A 🙂 Unless you plan on eating your weight in liver for months at a time, there’s nothing at all to be concerned about! These sound great! I am having trouble with hair loss and hormone issues. I went paleo 9 days ago in hopes of helping it, switched to totally natural hair care, and will also add these in! Thanks for the coupon, can’t wait to try these out. Apply castor oil directly on your scalp too. It stopped my hair loss. Wow!!! I can’t wait to see what the long term effects are. In just (3) days of use I wake up feeling so much better. I use to (4 days ago) have a hard time waking up. I would hit the snooze, snooze, snooze button and then reluctantly with a foggy head get out of bed. Last (2) days…. out of bed straight away no snooze button no foggy head. Thank you!!!! That is great to hear, Darcy!!! Can men take liver pills? Are the benefits similar or should women be the ones who primarily take them? Hi Sarah, men take them, too! Many male athletes are especially known to take them. Liver pills are widely used in athletics and sports for energy, stamina and endurance (a lot of Olympic athletes take them!). Hi Lanell! My husband and I always noticed a change in our energy levels about an hour after we take them, even after the first time we took them. When I was undergoing my hormone healing, I was taking double the recommended dose (8 a day) for about 3 months while my body got balanced and healed. My body needed the extra dose of vitamins to get the energy boost while it balanced out. I’d love to hear anyone else’s experience. It seems like the majority of people I’ve been in communication with have noticed a difference right away like me and my husband. But I do remember a few readers dealing with thyroid issues that said it took a few weeks for them to notice anything. I can see how this would be beneficial. After having my 6th baby I bit the bullet and had my placenta dried and put in pills. That was the best recovery I had experienced. Hands down! Since the liver is full of b vitamins, should I stop taking my b supplement? Thanks for this. I’m alway interested in health benefits like this! Do you have any experience with maca? Would you still take a multivitamin with the liver pills or would that be overdoing it? Just bought mine thanks for the discount! I read this post or a similar one a while back and almost bought them but changed my mind not wanting to spend the money. But I have been experiencing menstrual migraines monthly and irritability and fatigue outhe of the norm and know it has something to do with my hormones. Hope this helps! I hope it does, too, Erica! Hi Kelly 🙂 I was so happy to stumble upon your blog. I have really enjoyed looking around and feel I get inspired each time I do. I wanted to let you know I tried my first raw frozen liver “pills” today. It was not as bad as I imagined…ha. I was able to special order from a local farm and the butcher cut the liver up for me into the pill sizes…making it convenient. This is my first time ever consuming liver, let alone raw. I will be sure to let you know how it goes. Thank you for your wonderful blog. Your a ray of sunshine! Could you please reccomend some brands in Canada please? Have you noticed if they affect your cholestrol? I’m right onto this to try. Is it ok to use already frozen grass fed beef liver, defrost it and then to freeze it again? Thank you so much for this article. I have been taking these liver pills for 2 weeks now and feel amazing!!!! I sleep better and have energy like I had when I was in my early 20s. I am 51 now. And the possibility that it can heal my thyroid gives me hope beyond words. I refuse to take the pharmaceuticals so natural is the only way I will go. My question is “does anyone else get a metallic taste from taking the liver pills?” And if so any suggestions to help? I have tried my oregano oils with them. Hi Heather! I’m so glad the liver pills are helping you and I’m hoping you have success with your thyroid, too! Before I discovered the Vital Proteins liver pills I tried a few other brands and I did get the metallic taste in one or two other brands I took. Yuck!! What I did right after I took them was to eat something flavorful right away so the taste got out of my mouth. But I never get a metallic taste with Vital Proteins and I’m curious to know if you are taking the Vital Proteins liver pills or another brand? And I’d love to know if anyone else reading ever gets a metallic taste using Vital Proteins liver pills? Hi, just started eating raw liver uncooked. How is it that 4 of this vital brandn pills is equal to 3 oz of fresh raw liver? The quantities are not even close? I would like pills but dont see how they can be as good unless you eat half a bottle a day? lol . Help or prove please. Hi Jamie, It’s 4 pills x 7 days a week (28 pills) is supposed to equal roughly 3 oz. A few years ago, I went through a period (of insanity lol) where I dehydrated beef liver and then ground it into powder myself…talk about time consuming ha. But it was crazy to me how little powder I got out of that huge liver. I’m wondering if you have tried the brand Radiant Life Desiccated Liver Pills. I have done a lot of research and these seem very high quality as well. I am between buying these or the vital proteins brand so I was wondering if you’ve tried the Radiant Life brand. Thank you for sharing about the liver pills! I would like to try it, but I have trouble swallowing pills. Are these capsules that I could open and just consume the powder? Is the flavor horrible? Would you receive the same benefit from chicken liver as beef liver? I have been low on iron, zinc and vitamin B6 for a long time and am hoping liver supplements will resolve this issue, but I’m concerned about hormones which are naturally occurring in beef (as they are cows which produce milk). Hormones in beef and milk give me cystic acne. Thank you fore your help. Yes, Robin, chicken livers would be great and you would receive the same benefits! Oh wow, Veronica, I hope you can get some answers. Hair loss usually means the body is undergoing a lot of stress. There’s a ton of different things that could be stressing the body like digestive issues, food allergies, environmental issues, personal issues, etc. But since you said there’s a correlation between the hair loss and keto, I personally would first look at food allergies and digestion. Beef liver can help balance things out and I believe it may help a little, but if I were in your shoes, I would try collagen for hair loss first and also a good probiotic to help with digestion and give your immune system a boost. Here’s my all-time favorite probiotic if you are looking for a recommendation —-> https://amzn.to/2kWJYI0 There’s a lot of good, high quality collagens on the market these days, but this is the one I’m currently using —-> https://amzn.to/2JEi4P7 I hope any of that could help you in your quest for answers. Good luck!!! A new liver supplement on the market also includes wild harvested kelp for optimal iodine intake. That looks like a really great product, Simon – I love the added kelp! Thanks for letting me know about this and I’m excited to try it! Hi! Thank you for sharing this with us! 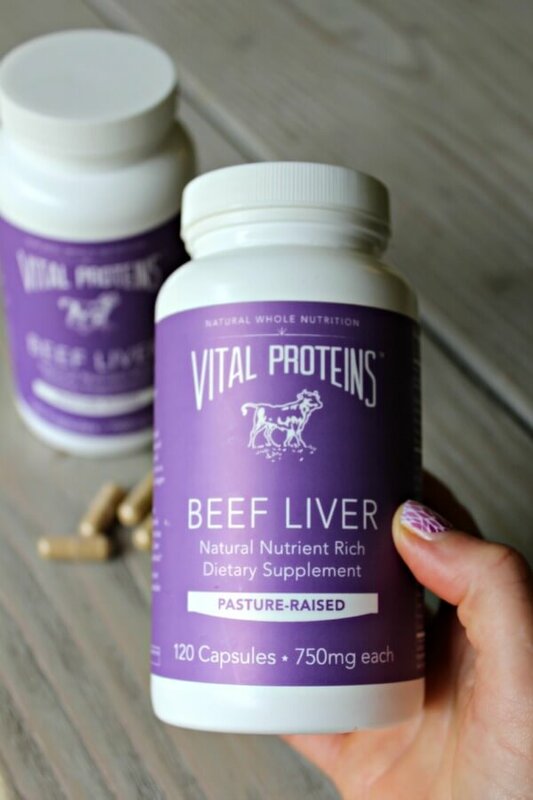 I have started using this exact beef liver supplement from vital proteins and I have seen a huge difference. It’s been only a week that I have started them and fatigue has improved definitely and I feel emotionally more stabilized. AMAZING! I open the capsules and add the beef liver into my morning smoothie everyday. Do you think this is a good way to consume the beef liver? That’s so great to hear, Nikoletta!! Yes, that sounds like a great way to consume the beef liver! Just came across your site. I have been dealing with Chronic Fatigue Syndrome for several years now. But have have been improving through the years by exercising, had to start out very, very slowly because of the terrible fatigue, and it took months, to start feeling a little stronger, so now I go to the gym 5 days a week, working out with weights and also doing cardio, and feel fine. …………But now every few months or so, I get this terrible fatigue and weakness, irregular heartbeat, headaches, nausea and no appetite, after a week or so I start feeling better again until the next time actually this time it has been 2 1/2 weeks,. Have come to the conclusion, after doing a ton of research, that I am anemic, meaning something is blocking the absorption of iron in my diet. Reading about the raw liver pills really got me interested, since I get the grass fed beef from my son, I have sliced the raw liver up this morning and had my first dose, “HOPING” so VERY desperately that it will help me. Sorry to say I DO NOT like Dr’s very much!!! I hope this is not too lengthy, wish I had known about the raw liver pills when I started with the CFS, it might have been a great help for Thanking you. Kitty. Good for you for taking your health into your own hands, Kitty! I’m a believer that certain information comes to us at just the right time that we need it and I’m so glad you stumbled across this…trusting it will help you! What a wonderful update Kelly! I am thrilled for your improvement. I have a quick question for you 🙂 There is a lot of talk that the thyroid may have trouble healing while we continue to eat gluten. Were you gluten-free when you introduced the raw liver that lead to your better endocrine functioning? PS – I have incorporated the liver caps into my daily regiment 5 days ago, and I am noting improvement in my stage III adrenal fatigue already. I have a touch of stamina, I am sleeping more soundly, and my hands are warm 🙂 Thanks for sharing your story. There’s no information out there like it! You mentioned raw liver has Vitamin K amongst other vitamins but I don’t see Vitamin K listed on the Vital Protein liver pills. Does they have Vitamin K? Hi Kathy! Yes, liver is an excellent source of Vitamin K. Not all minerals and vitamins are required to be on labels and vitamin K is one of those things.